The DBM’s First Comic Con! 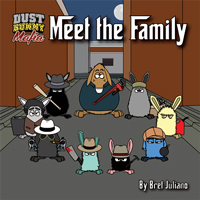 The time has come for me to bring the Dust Bunny Mafia to conventions!!! 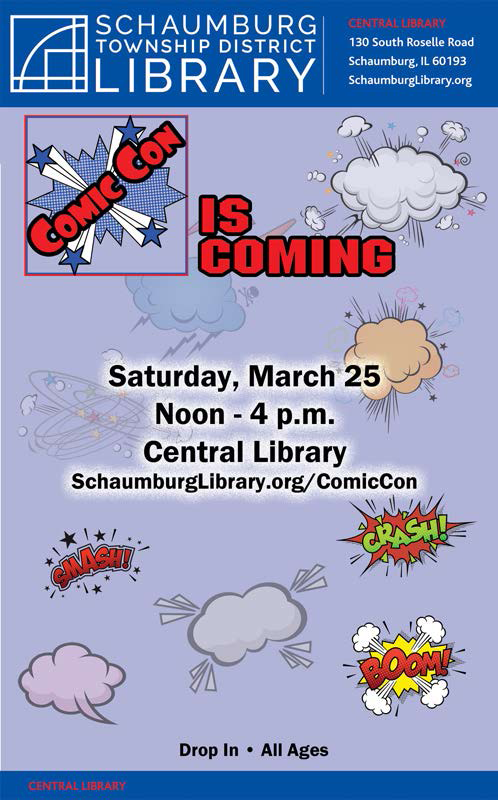 This Saturday, March 25th, from Noon to 4PM I’ll be at the Schaumburg Library at a comic convention promoting Dust Bunny Mafia (and Mobimals). I’ll have a table in the Artist Alley, which is on the 2nd floor. My table will look like an Italian restaurant, complete with the checkered table cloth, it should definitely stand out! 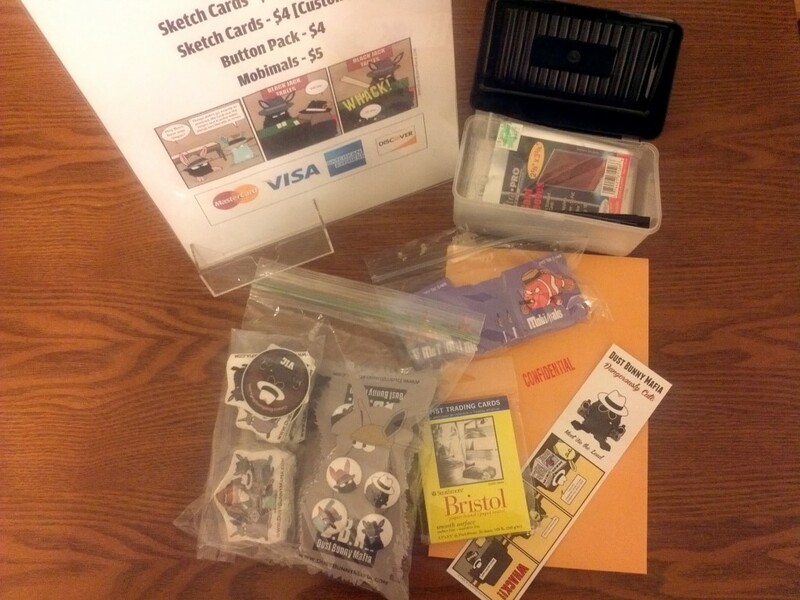 There’s about 20 artists slotted to be there, including fellow webcomic creator, John Vogel of Skitter! I’ll have a variety of small items for sale: Mobimals, button packs, bookmarks, stickers and sketch cards (both pre-done and I’ll even be taking requests). Also, if you sign up for the DBM Newsletter list, I’ll give you a free Mobimals: Joey the Clown sticker. Click here for the schedule of events for the day!